Canon USA has released a new firmware version 1.1.2 for the EOS 5DS and EOS 5DS R.
End Tonight ! 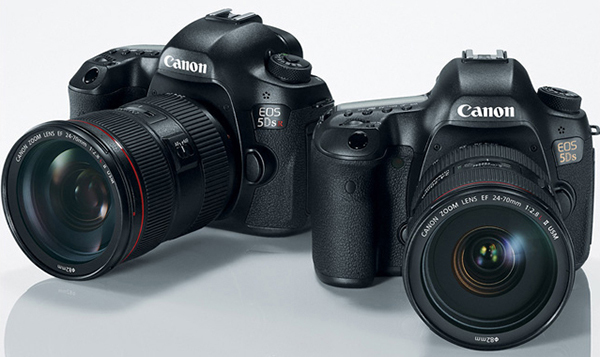 Super Hot 5D Mark IV ($2,849) & 6D Mark II ($1,349) Printer Bundle Deals End Soon ! The super hot printer bundle deals for Canon EOS 5D Mark IV and Canon EOS 6D Mark II are set to be expired tonight midnight. These are best Cyber Monday deals for Canon gears. Author adminPosted on November 28, 2017 November 28, 2017 Categories Canon Deals, Canon EOS 5D Mark IV, Canon EOS 6D Mark II Deals & Used & Refurbished DealsLeave a comment on End Tonight ! 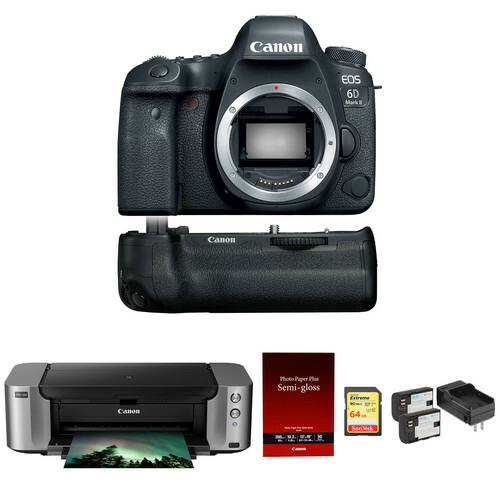 Super Hot 5D Mark IV ($2,849) & 6D Mark II ($1,349) Printer Bundle Deals End Soon ! KEH Used Black Friday Sale: 25% Off Featured & Accessories, 10% off all Cameras and Lenses (365-Day Warranty) ! Author adminPosted on November 24, 2017 November 24, 2017 Categories Canon LensesTags Used Camera DealsLeave a comment on KEH Used Black Friday Sale: 25% Off Featured & Accessories, 10% off all Cameras and Lenses (365-Day Warranty) ! Hot Deal – Refurbished EF 16-35mm f/2.8L III USM Lens for $1,495.32 at Canon Store ! 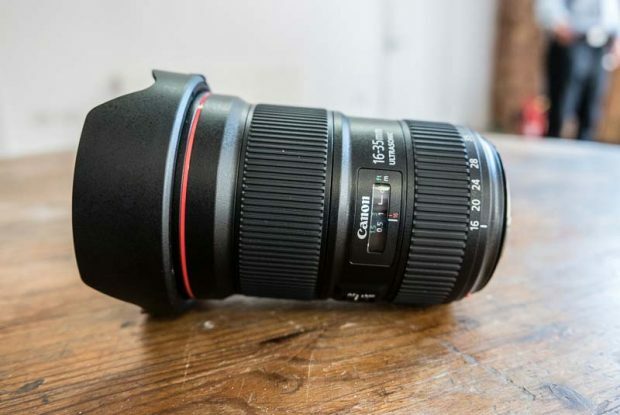 Canon USA Direct store are running their 15% off Black Friday sales on Canon lenses, currently most of lenses are sold out, but there is a great deal still live: Refurbished Canon EF 16-35mm f/2.8L III USM lens for $1,495.32. Compared to new at $1,999.oo. Author adminPosted on November 24, 2017 November 24, 2017 Categories Canon LensesTags EF 16-35mm f/2.8L III USM Lens, Refurbished DealsLeave a comment on Hot Deal – Refurbished EF 16-35mm f/2.8L III USM Lens for $1,495.32 at Canon Store ! The Super Hot 5D Mark IV ($2,849) & 6D Mark II ($1,349) Bundle Deals are Set to Expired Tonight ! According to B&H Photo Video and Adorama, the super hot printer bundle deals for Canon EOS 5D Mark IV and Canon EOS 6D Mark II are set to expired tonight midnight. So today is the last day to get these super hot deals now. Author adminPosted on November 23, 2017 November 23, 2017 Categories Canon EOS 5D Mark IV, Canon EOS 6D Mark II Deals & Used & Refurbished DealsLeave a comment on The Super Hot 5D Mark IV ($2,849) & 6D Mark II ($1,349) Bundle Deals are Set to Expired Tonight ! Rumors: 7D Mark III will Have illuminated Buttons ? Canon recently has filed a new patent about illuminated buttons on upcoming Canon DSLR cameras. 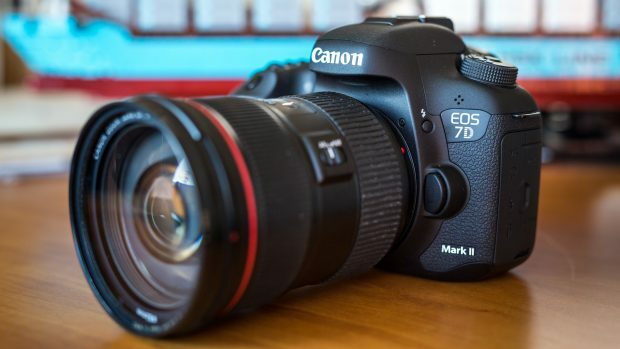 According to previous rumors, the upcoming DSLR camera could be Canon EOS 7D Mark III DSLR camera. Author adminPosted on November 21, 2017 November 25, 2017 Categories Canon EOS 7D Mark IIITags illuminated ButtonLeave a comment on Rumors: 7D Mark III will Have illuminated Buttons ? Super Hot ! B&H Matches 6D II w/ Free Grip, Printer, SanDisk, 2 x Battery for $1349 AR ! 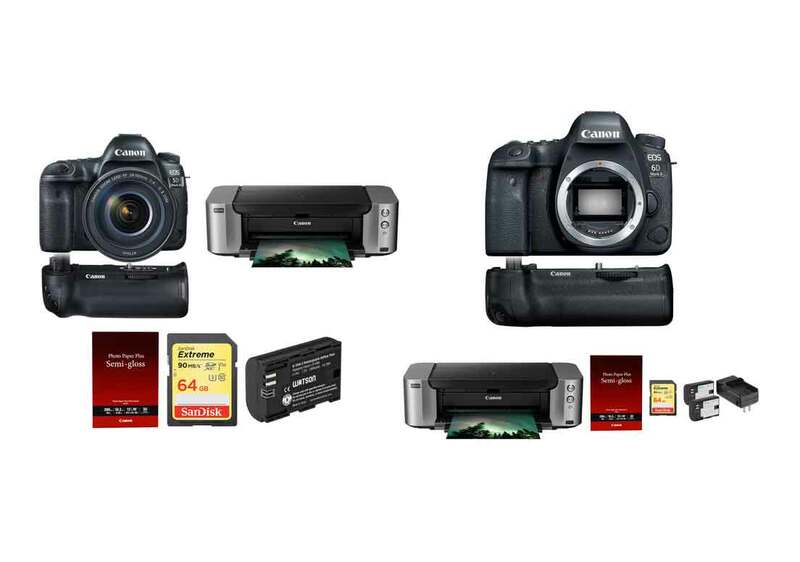 Similar as 5D Mark IV deal matched at B&H, B&H Photo Video now also has super hot deals for Canon EOS 6D Mark II w/ PIXMA PRO-100 + Battery Grip + Photo Paper + 64GB SDXC + Dual Battery Pack Kit w/ Charger Bundle – After $350 mail in rebates – $1,349.00 at B&H Photo Video, w/ 24-105mm IS STM Lens for $1,749 at B&H Photo Video, w/ 24-105mm f/4L IS II USM lens for $2,249 at B&H Photo Video. Author adminPosted on November 21, 2017 November 21, 2017 Categories Canon Deals, Canon EOS 6D Mark II Deals & Used & Refurbished DealsLeave a comment on Super Hot ! B&H Matches 6D II w/ Free Grip, Printer, SanDisk, 2 x Battery for $1349 AR ! Super Hot ! B&H Matches 5D IV w/ Free Grip, Printer, SanDisk, Battery for $2849 AR ! B&H Photo Video has matched super hot Canon 5D Mark IV deal at Adorama ! You can now get 5D Mark IV + PIXMA PRO-100 + BG-E20 Battery Grip + SG-201 Photo Paper (50 Sheets) + LP-E6N + 64GB Extreme UHS-I SDXC Bundle – After $350 mail-in rebates – $2,849.00 – at B&H Photo Video (w/ 24-70 lens for $3,599, w/ 24-105 II Lens for $3,749 !). Author adminPosted on November 19, 2017 November 19, 2017 Categories Canon Deals, Canon EOS 5D Mark IV, Canon EOS 6D Mark II Deals & Used & Refurbished DealsLeave a comment on Super Hot ! 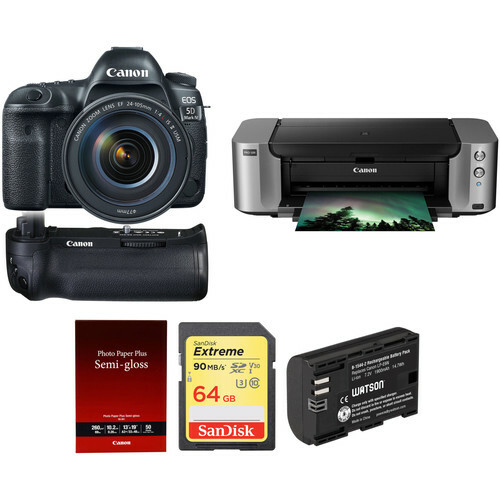 B&H Matches 5D IV w/ Free Grip, Printer, SanDisk, Battery for $2849 AR !